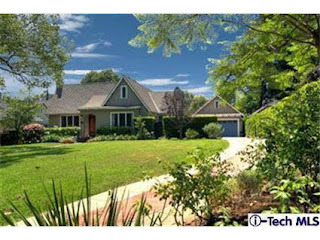 On Pasadena caravan I previewed this 4 bed/3 bath English Cottage for my Pasadena buyers. This beautiful home was built in 1923 and is located at 1089 Prospect Blvd, in one of Pasadena's most exclusive areas known as Prospect Park. There has been a $100,000 price reduction and is now listed for $1,459,000. 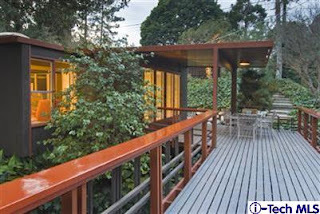 If you love architectural homes then you will love this Pasadena home located at 820 Burleigh! I previewed this Norton House, which was designed in 1954 by one of Southern California's most celebrated contemporary architects Conrad Buff & Don Hensman. This is the first time this home has been on the market since 1969 and the sellers have done a fantastic job of preserving it. 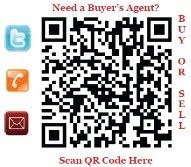 If you would like more information about either of these two homes give me a call (818) 790-7325.